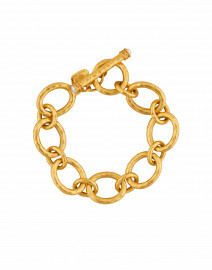 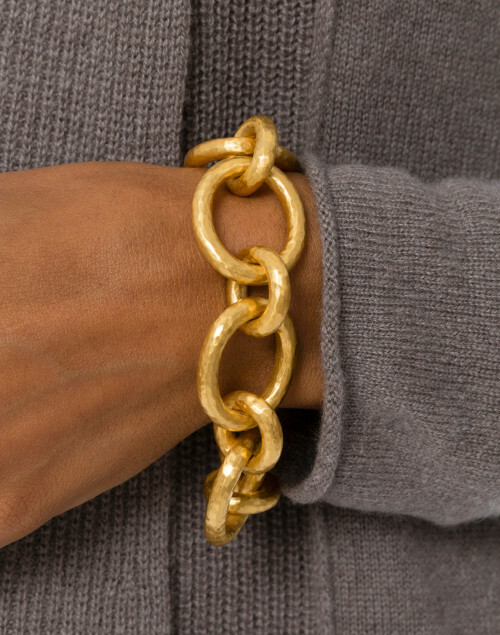 Crafted from hammered textured links, Julie Vos has updated the classic link style with her Catalina bracelet. 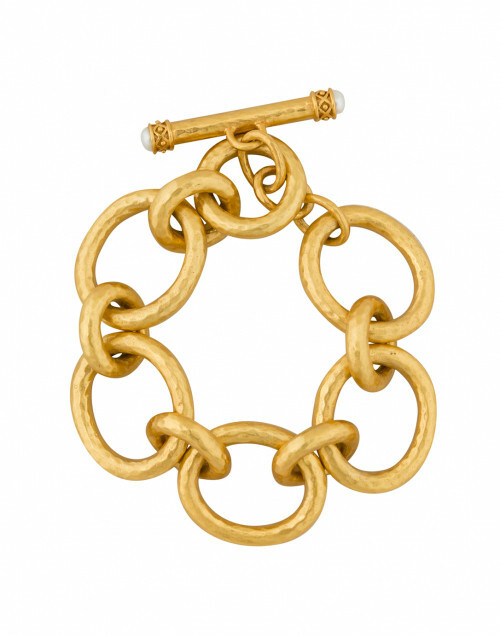 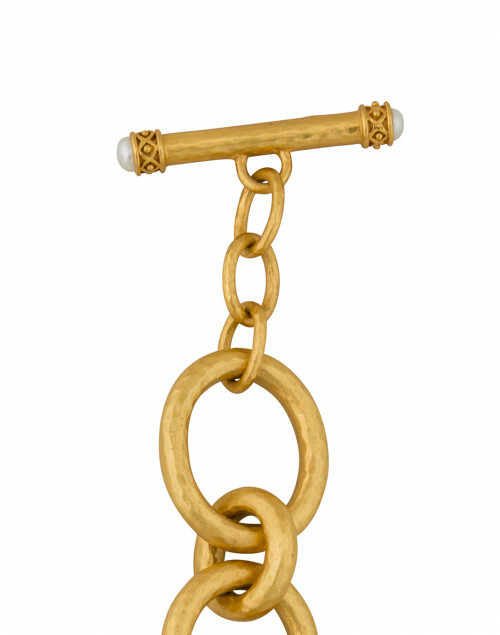 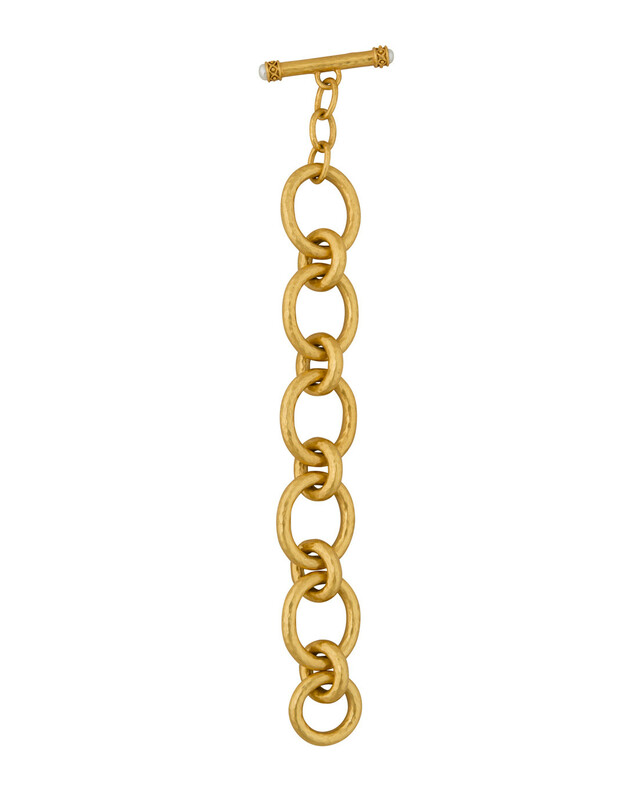 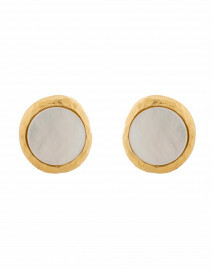 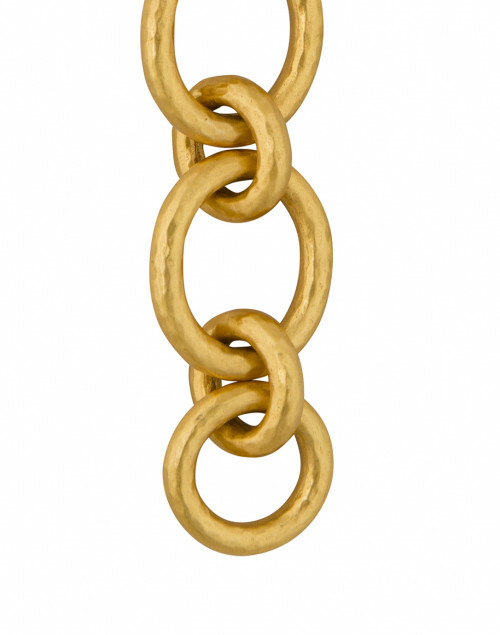 This timeless accessory is made from 24 karat gold plated brass, and features pearl endcaps on the toggle. 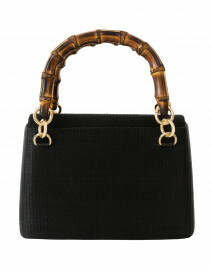 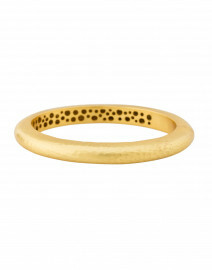 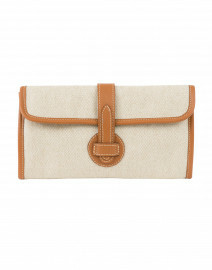 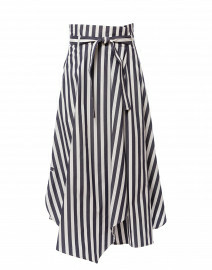 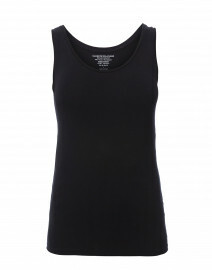 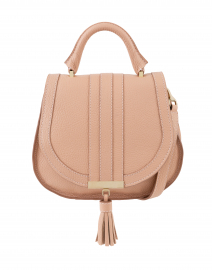 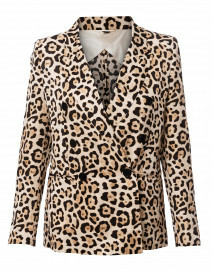 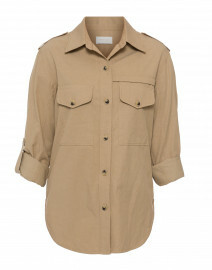 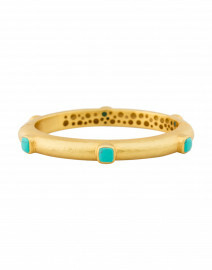 Pair it with a red dress for a special occasion, or with jeans and a top for a casual daytime look.